There's a potential spoiler here. Read at your own risk. So when an actual rumor pops up that pulls back the veil a little bit…goddamn! It’s something. And that something is a bit spoilery. Don’t read any further if you do want to go in cold. 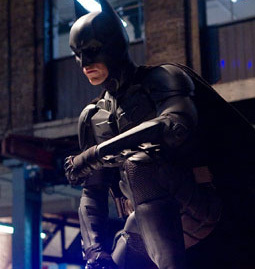 Drew McWeeny at HitFix reports that Liam Neeson was seen on The Dark Knight Rises set. He did step before cameras. He shot something, and then beat a hasty retreat back to New York. Warner Bros refused to confirm or deny the incident, or whether Neeson would return for more shooting. Is it flashback? Is it a dream sequence? Or is Neeson back and playing the resurrected Ra’s al Ghul? We already know the plot centers on this shadow from Batman’s past. We know there’s a young Ra’s being played by Josh Pence. It’s 99% certain that Marion Cotillard is playing Talia al’Ghul. Neeson’s appearance isn’t too surprising…but it certainly is exciting, especially if it’s more than a flashback or cameo.